Orlando City Stadium is the recently opened new soccer-specific stadium of Orlando City. The new stadium was part of the proposal for Orlando to join the MLS in 2015. The plans for the stadium were announced in the summer of 2015, and shortly after building works started. Orlando City played their first two seasons in the MLS at the Orlando Citrus Bowl before moving to the new Orlando City stadium in 2017. 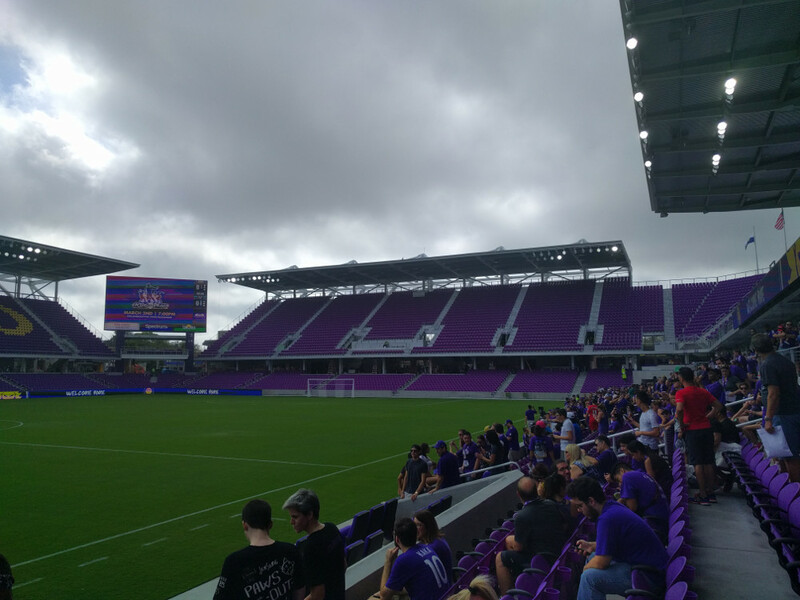 The stadium was initially planned to have 19,000 places, but this got increased to 25,500 following strong attendances in Orlando City’s first two MLS seasons. The stadium is the first in the MLS to have a standing section. It was fully privately funded. 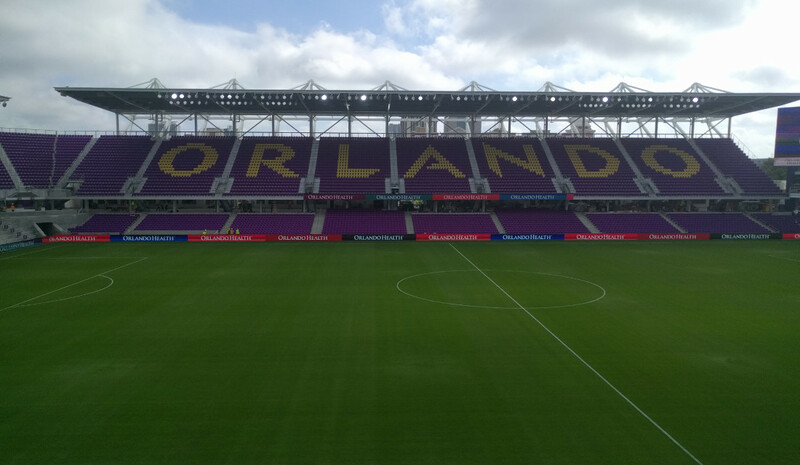 Orlando City Stadium officially opened on 24 February 2017 and the first match, a league match between Orlando City and New York City FC, was played a few weeks later on the 5th of March. Orlando City Stadium is located in central Orlando, just west of downtown Orlando and a few blocks away from the Amway Center. It’s just a 10-minute walk to get to the stadium from downtown Orlando. Orlando City tickets can be bought online through Ticketmaster or any Ticketmaster sales outlet. 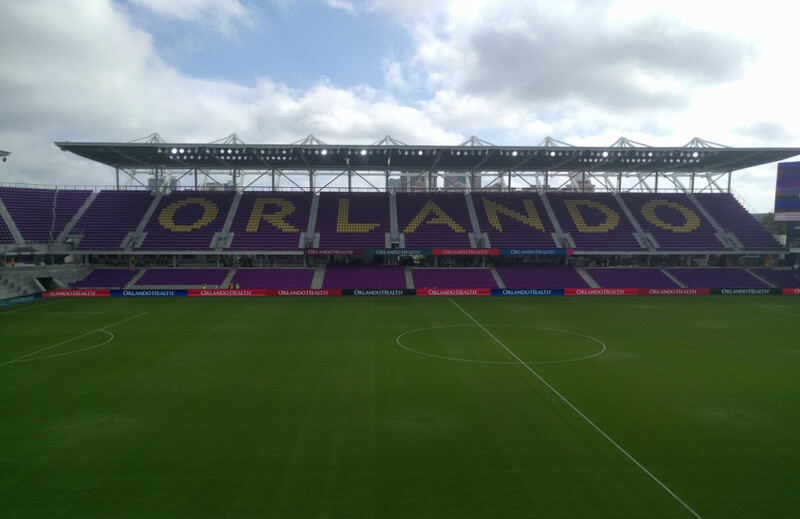 Having just moved to their new home, Orlando City are expected to sell out most of their home games, and booking in advance is therefore strongly recommended. Expect to pay from $34.00 for a seat in one of the top corners to $128.00 for a central seat at one of the sides. Orlando City offer guided stadium tours, which include to players’ tunnel, dressing rooms, press room, and VIP areas. Tours run every Saturday when there are no events at the stadium. The tour costs $10.00. Call 1-855-ORL-CITY for more information. Orlandocitysc.com – Official website of Orlando City SC. Visitororlando.com – Orlando tourist information. I went to Orlando City game against Seattle Sounders. Ticket was easilly available online and then it was used through phone.i walked from bus station( about 15 minutes). The stadium Is very nice and modern. The game itself was quiet good but atmosphere poor from European point of view.